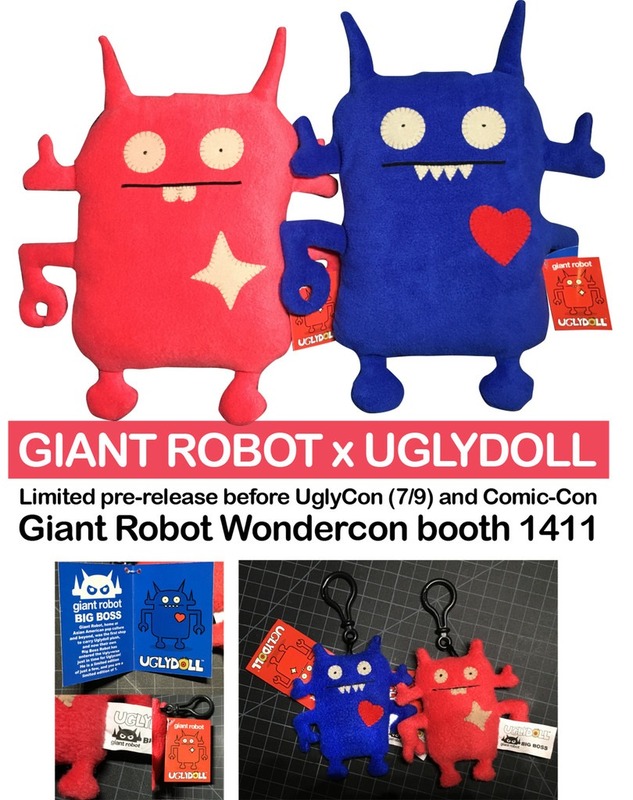 Giant Robot will be at Wondercon at the LA Convention Center this weekend (3.25 – 3.27) and they’ll be doing an advanced release of their Ugly Doll Big Boss plush (both regular and keychain editions) at the show. 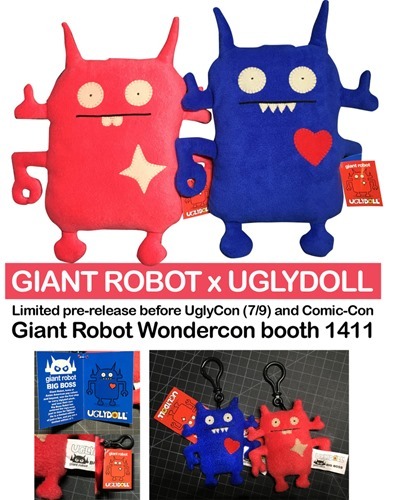 The Ugly Doll versions of GR’s mascot look great and will also be available this Summer at Uglycon (7.9) and SDCC (7.21 – 7.24). 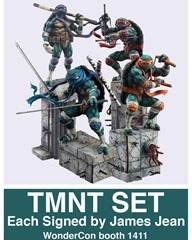 GR will also have signed sets of the James Jean TMNT Statues. Plus, as always, expect an eclectic mix of additional products – all at the Giant Robot booth (#1411). 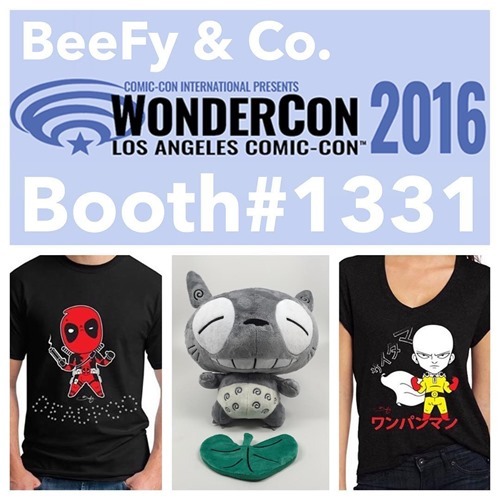 BAIT will be at WonderCon 2016 (Booth #1111) at the LA Convention Center this weekend (3.25-3.27) with a selection of new toys, tees, and more. On the toy front, they’ll be offering their new Bruce Lee-licensed Dragon King vinyl from kaNO (500 pcs, $60) as well as their exclusive X-Force Deadpool Super Deluxe Vinyl from Funko (500 pcs, $80). Tees? Be sure to check out several new forceful designs from Dave Flores – including Kylo Ren as well as First Order and classic Stormtroopers. 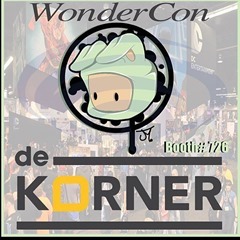 It’s almost WonderCon time (3.25 – 3.27) which will be at the LA Convention Center this year rather than its usual Anaheim location. BeeFy & Co. will be at WonderCon once again with a selection of fun plush and Tees including the new Totopoo ‘Smile’ Edition plush—a happier, grinning version of the Totopoo released at C2E2—and the remaining stock of the recently released Deadpoo and Saitma Tees. 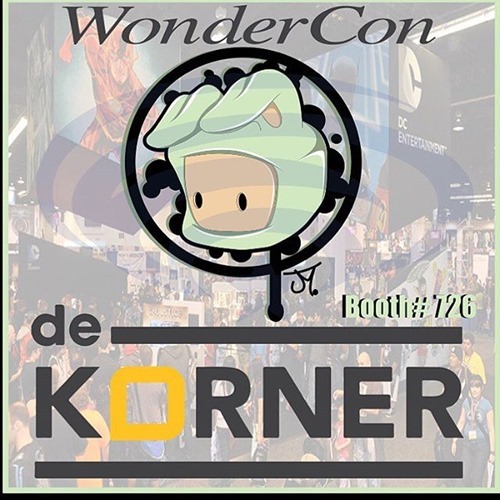 Juan Muniz will be holding it down at WonderCon at the LA Convention Center all weekend (3.25 – 3.27) at the De Korner booth (#726). 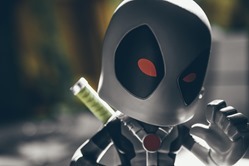 He’ll be offering plenty of art and goodies, plus the brand-new Felipe Uhoh Convention Exclusive produced by 3DRetro. 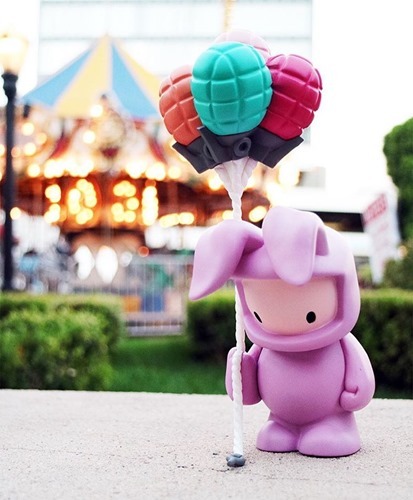 Just in time for Easter, this special Felipe is a perfect pastel pink with a pastel ballonade bouquet. 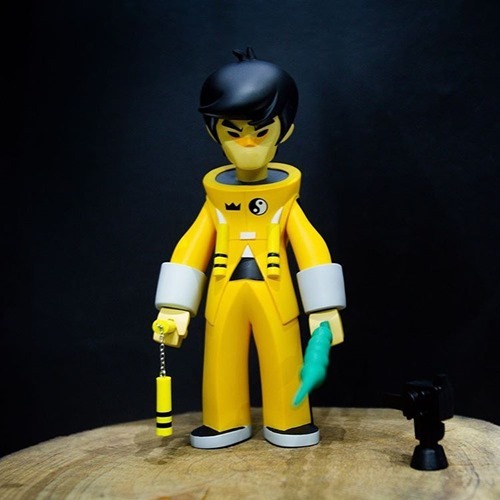 As the name suggest , the Convention Exclusive edition (200 pieces, $55) will be available only at conventions starting with Wondercon this weekend (booth #726) and then at subsequent cons including SDCC, NYCC and DesignerCon until its gone. 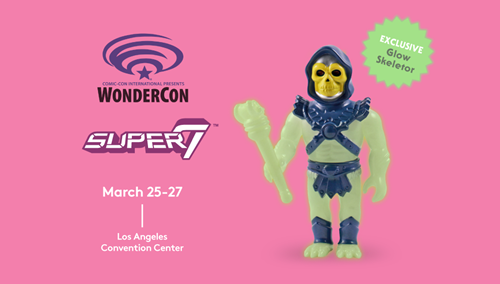 Super7 will once again be attending this years Wondercon, which will be taking place at the Los Angeles Convention Center. 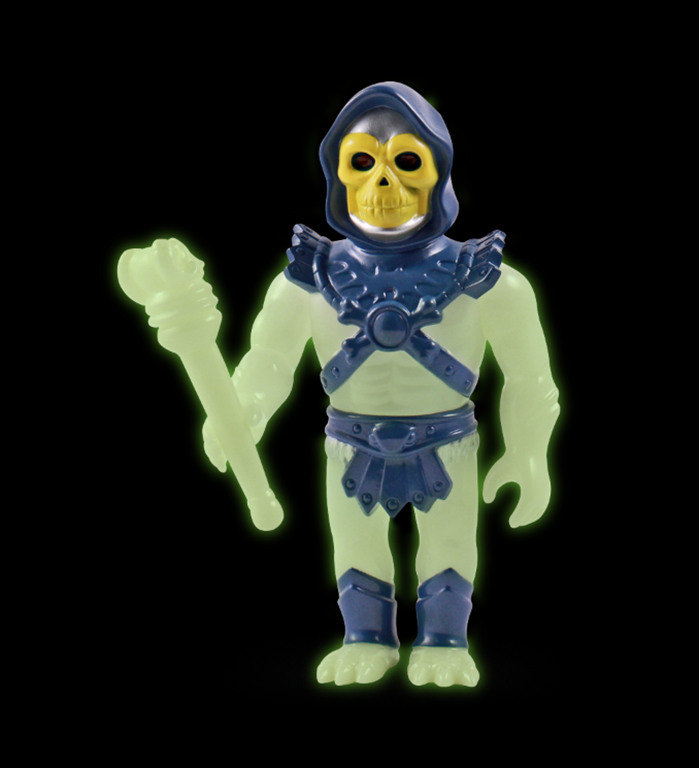 With them, they will bring a variety of their toys and t-shirts, but amongst all their toys, shines the ever so lovely Wondercon Exclusive Ghoul Glow Skeletor. The third release of their Vinyl Skeletor figures will be available on Friday, March 25th and will be followed by a global release the following day online on Saturday, March 26th at Noon PST. Projected retail price we believe will be $65 each! Hyperactive Monkey is happy to once again to bring to you another amazing release for this years Wondercon. Last year was their collaborative Gerald Okamura ‘Golden Gunslinger’ release and for this year they will be dropping the Exclusive Al ‘Kabong’ Leong figure. 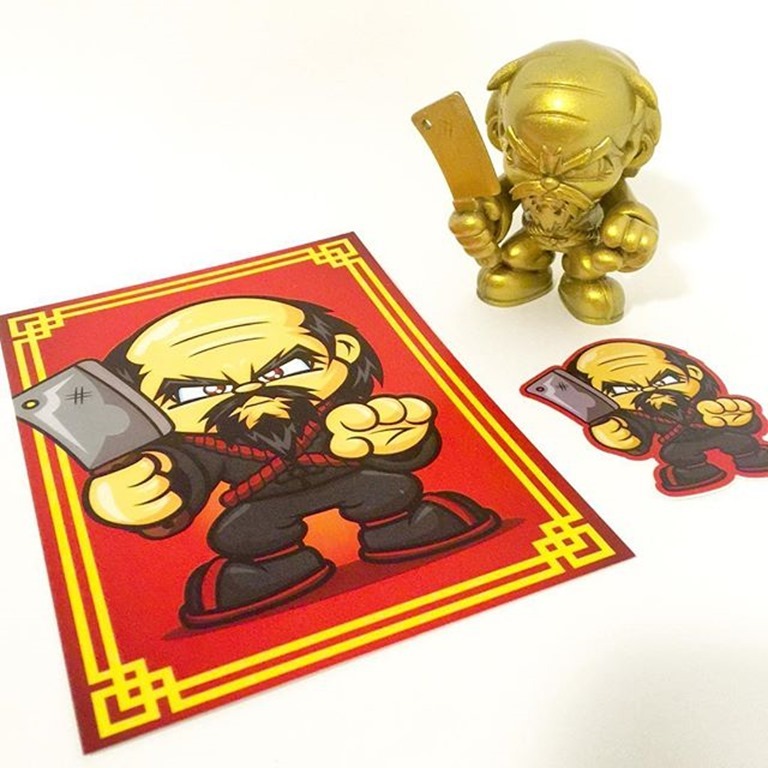 Each figure will be extremely limited and will also come with a sticker and signed print. Al Keong will also be at the Hyperactive Monkey booth #2149 for a meet and greet on Saturday, March 26th. 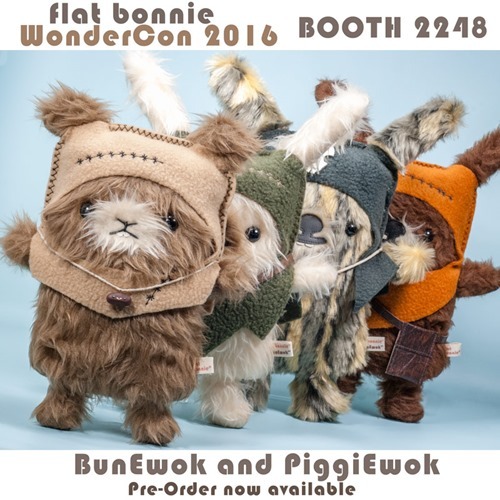 Flat Bonnie – BunEwok and PiggiEwok Wondercon Releases! Flat Bonnie will be gracing the Wondercon 2016 floor with more of her amazing plush figures! Available at her booth #2248 is the new PiggiEwok, which stands 10” tall and features the Flat Cavy in an Ewok costume. Each plush also has a handmade Guinea Pig poo charm necklace! These will be limited to only 40 pieces and will retail $45. For all you BunEwok fans, there will be 3 variations of this 12” tall plush available. The Brown/Orange is an edition of 40 for $45, the Cream/Green edition is limited to 40 for $45 and the Logray (multi-color) w/ skull hoodie is limited to 40 pieces for $50. All of these plush figures are handmade and are made from faux fur, soft fleece and vinyl pleather with safety eyes. 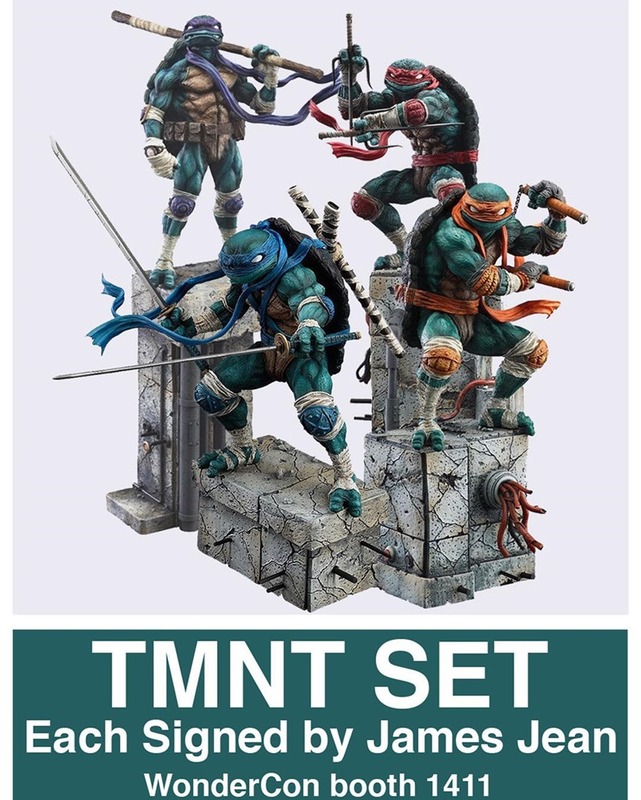 You can pre-order them on their website now HERE for delivery and you even have the option to pick-up at Wondercon.